What should I do if I my luggage is lost…? Losing your luggage can be quite an ordeal if you find yourself arriving on holiday, but your luggage does not !! There are a few words below that may assist you, should it happen to you. Property Irregularity Report / PIR – This is what you will need to complete with the luggage handler if your luggage does not arrive, or is missing when you go to retrieve it from the luggage belt. Also, find the rep for the company you are traveling with, and they may be able to assist you. What do I do if my luggage is lost or delayed? You’ll need to report lost or delayed baggage at the airport by filling out a Property Irregularity Report and then calling the number on the form. For the first 5 days of baggage tracing, please contact the airport where you reported your baggage as missing. If your bag has been missing for 6 or more days, call the Thomson Airways Baggage Services Department on 0333 577 0300. Calls are charged as local rate per minute plus network extras. Just so you know, Thomson have limited liability in cases of delayed delivery and lost or damaged baggage under the Montreal Convention, so you may wish to make a claim through your travel insurance provider. However, we’ll be pleased to help if you decide to send your claim to Thomson Airways. You can’t claim from both your travel insurance provider and the airline. If you’re claiming for delayed baggage, you’ll need to make your claim in writing within 21 days of the date your baggage was delivered. As soon as you realise your bag is missing you’ll need to notify one of the baggage handling agents in the baggage hall at the airport before you leave the terminal building. Once the report has been made, both in the UK and overseas, the member of staff will complete a Property Irregularity Report (PIR) and you will be given a letter to advise you of the next steps. You can track your lost baggage claim status online at WorldTracer. If your bag is missing Easyjet will ask you to complete a Delayed Baggage Report at our Baggage Services desk in the Arrivals hall. They will search for your bag using the WorldTracer system, and keep you updated via email and sms on its progress. You can also track your bag online using WorldTracer or you can contact the Baggage Services team directly at the airport. If they have not found your bag within five days you can contact the Baggage Tracing team via email: secondarytracing@1stflight.co.uk or call on +44 (0)333 577 7070. If you experience any loss, damage or delay to your baggage you must in the first instance advise the ground handling staff at your arrival airport and complete a Property Irregularity Report (PIR). If your baggage is delayed, they will endeavour to find your baggage for 5 days and will provide you with their local telephone contact number. Once you have received your PIR – then please click here and enter your details to see the latest status regarding your baggage. This Call Centre is open 08:00 to 20:00hrs local UK time. In addition, you will need to write to us at the address below enclosing a copy of the completed PIR, baggage tag receipt and original purchase receipts (to evidence the age and value of the item), within 7 days for damaged baggage and within 21 days for delayed or lost baggage. All about Mallorca. Unlock all you need, whether living or working in Mallorca. Running, Getting Married, Where to Eat, Paperwork, Working, Education, Health, and more.. Advertise your Business here !! 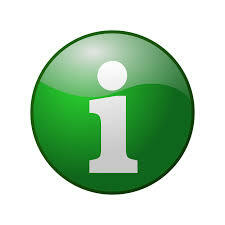 If you are a company providing services in Mallorca please contact us to have a link direct to your company / website . Your details can also be added to our APP as well. Mallorca Info Centre / Tourist and information guide to living and working in Mallorca..